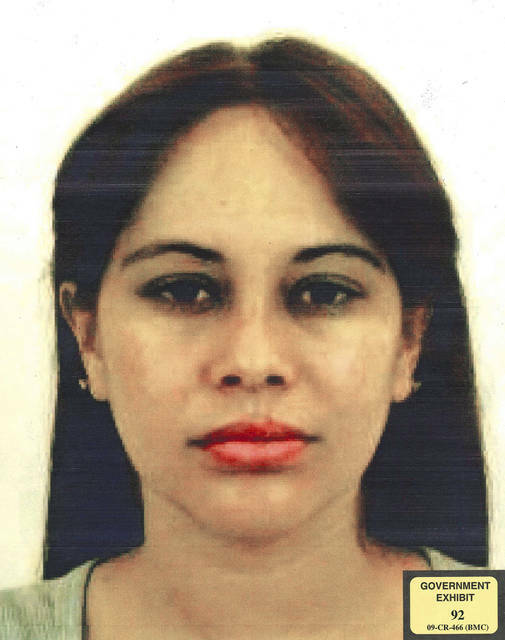 NEW YORK (AP) — Lucero Guadalupe Sanchez Lopez was already trapped in an impossible extramarital relationship with Mexican drug lord Joaquin Guzman when she found herself in an even crazier bind — fleeing with Guzman and others from authorities through an underground tunnel, her outlaw love interest in the buff. Disclosure statement: Elizabeth Oglesby does not work for, consult, own shares in or receive funding from any company or organization that would benefit from this article, and has disclosed no relevant affiliations beyond their academic appointment. In the United States’ heated national debate about immigration, two views predominate about Central American migrants: President Donald Trump portrays them as a national security threat, while others respond that they are refugees from violence. Little is said about the substantial contributions that Central Americans have made to U.S. society over the past 30 years. For one, Guatemalan and Salvadoran immigrants have helped expand the U.S. labor movement, organizing far-reaching workers rights’ campaigns in migrant-dominated industries that mainstream unions had thought to be untouchable. More than 1 million Salvadorans and Guatemalans came to the United States between 1981 and 1990, fleeing army massacres, political persecution and civil war. Just 2 percent of Salvadorans and Guatemalans received asylum in the 1980s – so few that a 1990 class action lawsuit alleging discrimination compelled the U.S. government to reopen tens of thousands cases. Today, about 10 to 25 percent of their asylum petitions are granted. Then, as now, many undocumented immigrants in the U.S. worked in agriculture or service industries, often under exploitative conditions. Unionization barely touched these sectors in the 1980s. More broadly, the bargaining power of labor unions was suffering under Reagan, whose presidency started with his firing of 11,0000 striking air traffic controllers. Downsizing and outsourcing at American companies in the 1980s also eroded union membership and pushed wages down. Many Guatemalans and Salvadorans were veteran community organizers. They had faced down government terror to participate in unions, peasant leagues, Catholic social justice campaigns or indigenous rights initiatives — all currents in 1980s revolutionary Central America. Drawing on these experiences, many Central American immigrants began to organize in their U.S. workplaces, demanding higher wages and safer conditions. Salvadoran immigrants in California were pivotal in Justice for Janitors, a pioneering low-paid workers’ movement that inspired today’s $15 minimum wage campaign. Justice for Janitors began in Los Angeles in 1990. It aimed to reverse the wage drops that janitors suffered over the past decade. Rather than do battle with the small subcontractors that hired cleaning crews for big office buildings, Justice for Janitors targeted the corporations that owned those buildings. Led by experienced Salvadoran unionists — some of whom had fled death squad violence back home – the movement used non-violent civil disobedience and strikes to expose exploitative labor practices. Speaking out could be dangerous. Police once clubbed participants at a peaceful march through LA’s Century City neighborhood on June 15, 1990. Undocumented workers feared deportation. But it worked. Janitors in LA won a 22 percent raise after their 1990 citywide strike, showing mainstream labor unions that even the city’s most marginalized workers — undocumented Central Americans, many of them women — had real organizing power. Over the next decade, some 100,000 janitors nationwide joined the campaign, under the banner of the Service Employees Industrial Union. The movement negotiated contracts that increased wages and health benefits for janitors across the U.S. Hundreds of thousands of people fled Guatemala during the early 1980s, escaping a genocidal army campaign against indigenous communities that left entire regions of its highlands charred and empty. Roughly 20,000 of these Guatemalan refugees — many were of whom spoke indigenous Mayan languages — landed in Florida in 1982, finding work in sweltering tomato farms and citrus groves. Up to 90 percent of the fresh tomatoes in U.S. supermarkets comes from Florida. Working conditions in the state’s tomato fields were dismal in the 1980s. Migrants earned just 40 cents per 32-pound bucket of tomatoes picked. Some were forced by armed guards to work against their will, as a 1997 court case about the use of slave labor in Florida’s tomato fields exposed. In 1993, Guatemalan immigrants joined with Florida’s Haitian and Mexican farmworkers to form the Coalition of Immokalee Workers, a community-worker alliance that began in the basement of a local church in Immokalee, Florida. It used strategies common to Latin American protest movements, including street theater and socially conscious radio broadcasts, to unite Florida’s agricultural workers. After five years of work stoppages, hunger strikes and marches, Florida’s tomato pickers won wage increases of up to 25 percent. A multiyear nationwide boycott of Taco Bell convinced the fast food chain in 2005 to increase the earnings of the farmworkers who supply its ingredients. Other fast food giants followed suit. In 2015, the Immokalee coalition launched the Fair Food Program, an industry-wide agreement with Florida tomato growers to promote strict health and safety standards and allow outside monitors to oversee working conditions. In 2015, President Barack Obama gave the Coalition of Immokalee Workers the Presidential Award for Extraordinary Efforts in Combating Modern Day Slavery. As Guatemalan migrants spread across the South during the late 1980s, recruited by labor contractors in other states, they soon became a powerful organizing force in North Carolina, too. Case Farms — a poultry company that supplies KFC, Taco Bell, Boar’s Head and the federal school lunch program — was a notoriously dangerous place to work. Safety regulations were routinely ignored to increase output, and workers suffered serious injuries — including losing limbs to cutting machines. In 1990, the Guatemalan immigrants at Case Farms’ plant in Morganton, North Carolina, organized a union drive. As labor historian Leon Fink describes in his book “The Maya of Morganton: Work and Community in the Nuevo New South,” Guatemalan poultry workers drew on prior organizing experiences back home — including coffee plantation strikes and Mayan pride movements — to organize workers. After five years of walkouts, marches and hunger strikes, the Case Farm workers in 1995 voted to join the Laborers’ International Union of North America. The company refused to negotiate, however, and the union pulled out of contract talks after six years. In 2017, Sen. Sherrod Brown of Ohio challenged Case Farms to explain its alleged violations of U.S. law, after a New York Times and ProPublica investigation exposed ongoing abusive labor practices there. These unionization stories show Central American migrants in a new light — not as criminals or victims, but as people who’ve helped make the U.S. a safer place for workers.